No matter what problem you are facing like hair thinning, hair loss, or other, PRP is considered as the best treatment. There are a variety of other options also but most of the patients prefer PRP treatment because of effectiveness it offers. It treats the hair with natural growth and also increases the volume of hair by supplying the blood to hair follicles. Sometimes, it is advised by the doctors to take some medications along with the therapy procedure. PRP is a treatment that is being used since the 1980s and has evolved as one of the best therapy in medical treatments. Earlier, it was used for treating problems like tendon injuries, muscles, and ligaments. Basically, in the first step, blood is drawn out from your arm and is put into a machine known as centrifuge which spins or separates the fluids. 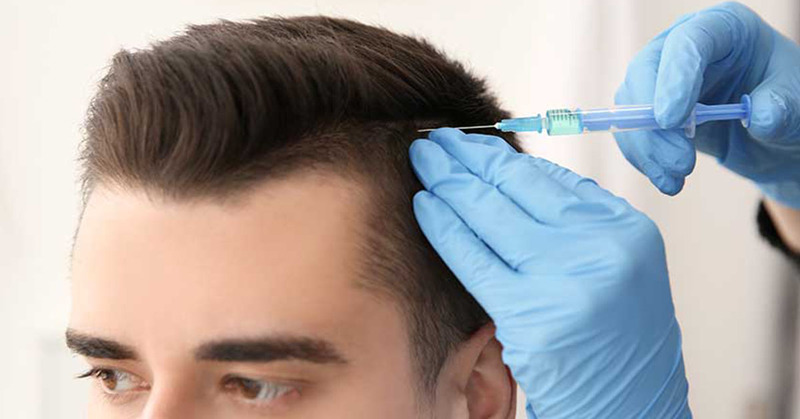 When the platelet-rich plasma layer gets created, then it is drawn into the syringe and injected in the areas of the scalp where growth requirement is more. One of the major benefits of PRP is that it uses your own blood. Another benefit of getting the PRP treatment done is its success rate and the number of positive reviews. Many patients have got this treatment done and are enjoying good and volumized hair. Furthermore, sometimes it also stops the hair fall permanently and shows the results after some months. Getting the treatment done gradually is beneficial as it gives new hair the time to grow and adjust easily. PRP also offers the natural hair looks. If you are also dealing with the problems like hair thinning or hair loss, Then PRP hair restoration is the best treatment that delivers you the satisfactory results.